There are so many choices when it comes to interior contemporary doors that deciding what to choose may seem overwhelming. 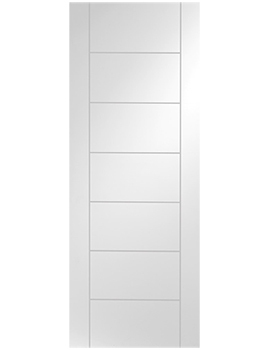 Here, at Buildworld, we stock an entire range of Contemporary Doors. Select the best one based on your requirement. Do you want a wood, metal, or molded door? Do you want any portion or all of it to be glass? Should that glass be clear or opaque? These are all questions that need answers. When choosing a door, you must first decide what material you want it to be made of. Wood is a classic option with many choices in paneled oak and plain plyboard. Stainless steel doors make a great addition to modern homes, especially as part of a designer interior. The metal is durable and stands up to rough weather and chemicals. Rust free and with great selection of designs. Fiberglass doors are typically used for exterior door applications. The best part of fiberglass is that it can be moulded into innumerable styles. Besides, they look just like real wood besides being very affordable. 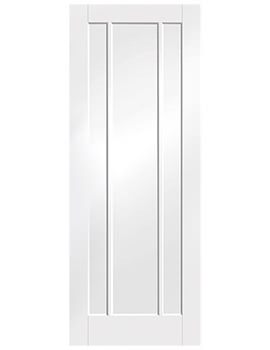 Many of the contemporary doors offered here come with a certain amount of glass for visibility or style. You may choose a door like this for an office space or the interior door to sun room. The Deanta Seville Walnut Veneer Door is the best of both worlds with nice dark walnut wood and a singular and sensible plane of glass inhabiting the center of the frame, the perfect door for a den or office. Paneled doors usually come in 4-7 panels and fall in the high-end price range. Some include glass and others do not. The Deanta Seville Oak Veneer Prefinished Door is an example of one that does not. The 7 horizontal rectangles add a visually pleasing addition that the flat plywood doors lack. 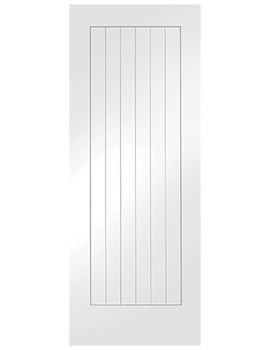 It is available as a fire door as are most options here. A moulded door is the same as a completely smooth door with the detailing or panels that are added on as a skin of moulded MDF as the top layer of the door structure. 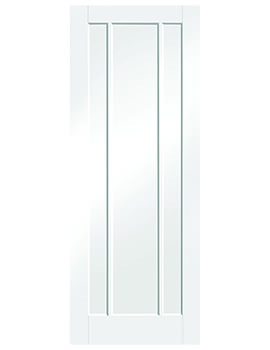 In stunning white, the Molded Smooth Ladder 4 Panel Fire Door offers extreme class without the hassle of wood or glass. 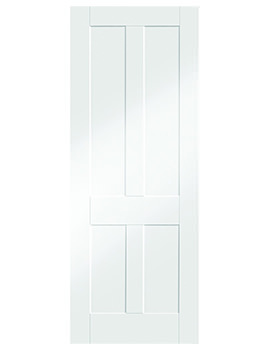 The molded doors are resilient to damage and easy to clean. 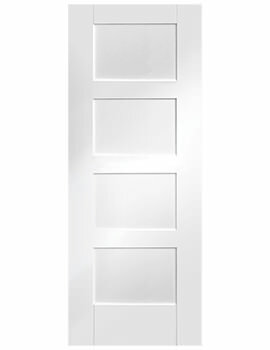 The White Primed Florida Flush Fire Door offers protection, quality, and class. Transform a room with this brilliant white addition. Want a more classic looking door? The Joinery Oak Veneer Suffolk 6 Light Clear Glazed Door has 6 panes of clear glass in the classic window configuration toward the top.